Like us on Facebook and we'll donate 20 cents to HeartKids Australia! 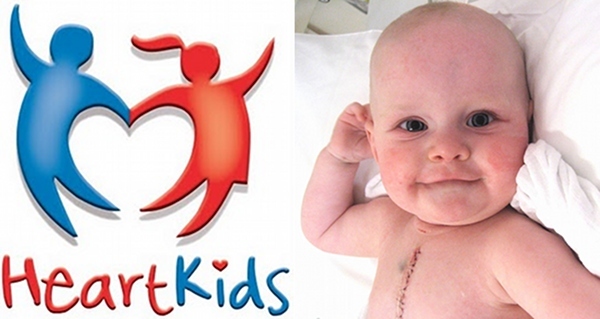 Like us on Facebook and we’ll donate 20 cents to HeartKids Australia! Thanks to suggestions from our readers, we’re supporting a national children’s charity so help us spread the word and you’ll be assisting kids born with heart conditions. Every day six babies in Australia are diagnosed with heart disease and more than two thousand are born with heart defects each year; it’s far more common that many people may imagine. It’s an issue close to us here at Babyology, as one of our Babyology kids needed surgery at age two to correct a heart murmur. Many of our readers have also been directly affected by heart disease and we heard some stories of gratitude towards HeartKids for all it does to help families in this situation. HeartKids not only supports the families of children with congenital heart disease by employing support coordinators and assisting with accommodation and travel requirements, it also works closely with the medical community to fund research and provide equipment and facilities. It also advocates the needs associated with congenital heart disease to the Government. Here’s your chance to help; simply spread the word amongst your friends and family and, for the month of July, we’ll donate 20 cents to HeartKids Australia for every new liker on our Babyology Facebook page! We’re doing our bit for charity, plus you can have all the latest and greatest articles on design for babies and kids delivered straight to your Facebook news feed. We also encourage you to go the HeartKids Australia website to read about the charity and some personal stories. Simply go to the Babyology Facebook page any time between 1 July and 31 July 2011 and like us if you haven’t already. Be sure to click the ‘Share this’ button below to spread the word! Even Twitter aficionados can get in the act by tweeting for a good cause. If we can double our Facebook followers by 31 July, that will be a huge $1200 donation!